Estates Gazette: Most Active Agents! Anton Page are pleased and proud to be named as London’s 9th most active office agency! 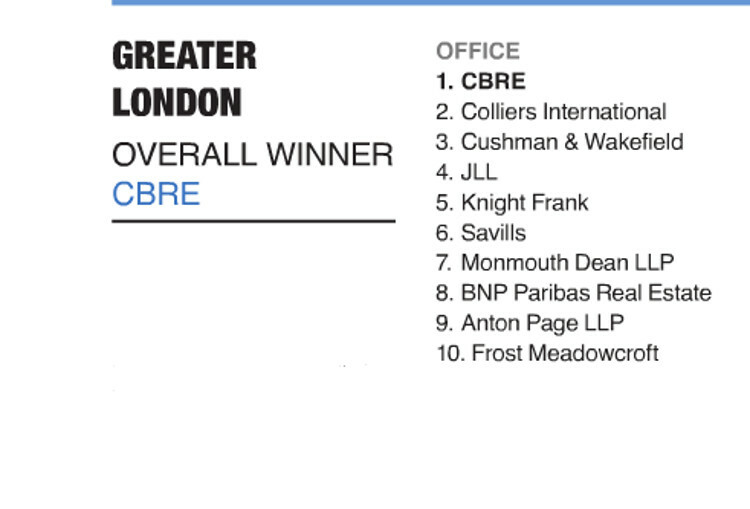 The Estates Gazette annual totaling of space let in London’s office disposal sector has been revealed and we have placed in the top ten the most diligent and active agencies. We have carried out over 100 transactions in 2016 with a total of nearly 250,000 sq. ft. of office space let or sold in Central London to local occupiers and/or investors. Similarly, we currently have over 60 opportunities to rent or buy properties from 130 – 23,500 sq. ft. in and around Hackney, Shoreditch, Farringdon, Kings Cross and Holborn.